Before I get into my top picks for Hong Kong, I wanted to give some background for this post. The fact that Ruth and I both have full-time jobs in the Bay Area is one of the many reasons why we are hell-bent on making the most of our time literally everywhere else. I won’t get into the boring details of my job, but long story short, I have to travel fairly often. I usually travel internationally once or twice a quarter. Most of my time is spent working when I do travel, but I always try to at least get a few good meals and see or do one cool thing. Another thing that is tough about traveling for work is that I don’t have a lot of time to workout. So, I’ve tried to pair down my workouts to short, efficient circuits that I can do in a limited hotel gym. I know I’m not the only who spends a ton of time traveling for work, without a ton of time to do cool things in the places they go. So, I want to share my recommendations from these quick trips with people who might be in the same boat as me. With that, I humbly introduce my “Workaholics” series. We’ll see how this goes, but the plan is to share my favorite meal, favorite thing I did or saw, and one of my hotel workouts that helped me work off that meal. 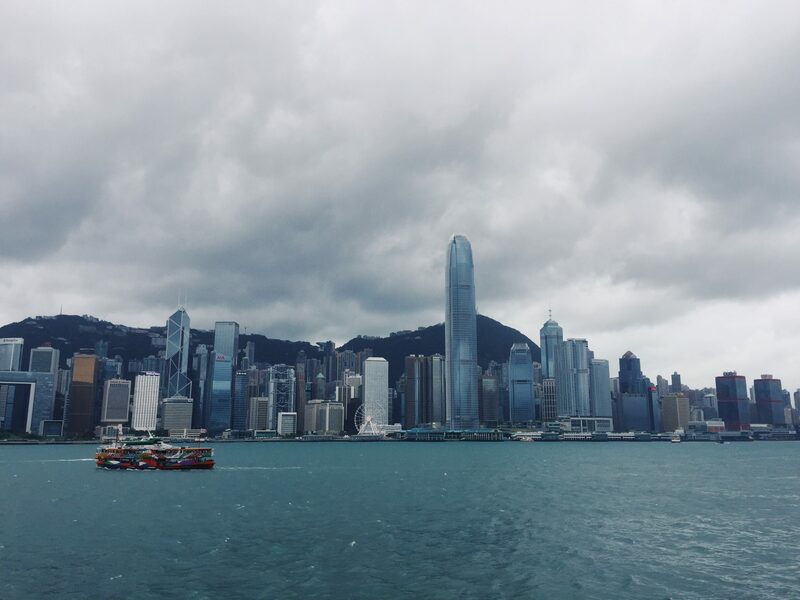 Here are my top picks from Hong Kong. Who says a “meal” can’t be an overpriced cocktail and mixed nuts? Let’s be real here, you do not go to the highest bar in the world for the value of the drinks. You go for the view. Ozone Bar is located on the 118th floor of the Ritz-Carlton Hong Kong and has the most impressive views of Hong Kong you can imagine. So sit back, grab a $30 drink, and take it all in. There is an outdoor viewing area, but as luck would have it, I was there during a monsoon. I guess they close outdoor viewing areas on the 118th floor during monsoons, who knew? I can only imagine what it would be like on a nice, clear day. If you do end up meeting inclement weather, here’s a pro tip: check the view from the bathroom. Ground to ceiling windows looking straight over Victoria Harbor. You’re welcome in advance. This is incredibly touristy. But it’s a great stop, especially on a clear day (I was not so lucky, ref: monsoon). For about $12USD, you can take the Peak Tram to the top of a 360 degree look-out platform. This overlooks all of Hong Kong, including the aforementioned Ritz Carlton across the harbor and the Two International Financial Center. Not familiar? This is the building that Batman jumps off of in The Dark Knight. Needless to say, I was freaking out about this. Do 5 rounds of the following circuit, as fast as you can. *You should be in full hang in bottom of the pull-up. If you cannot do pull-ups, substitute with push-ups or ring rows (or inverted rows). **Dumbbell weight should be as heavy as you can to keep the sets unbroken. So funny! What cocktail did you order? The Bamboo: Cachaçainf. Green Tea • Lime • Lemongrass • Ginger • Syrup • Ginger Beer. Can’t beat that! Sounds amazing!! Can’t wait to try it someday!